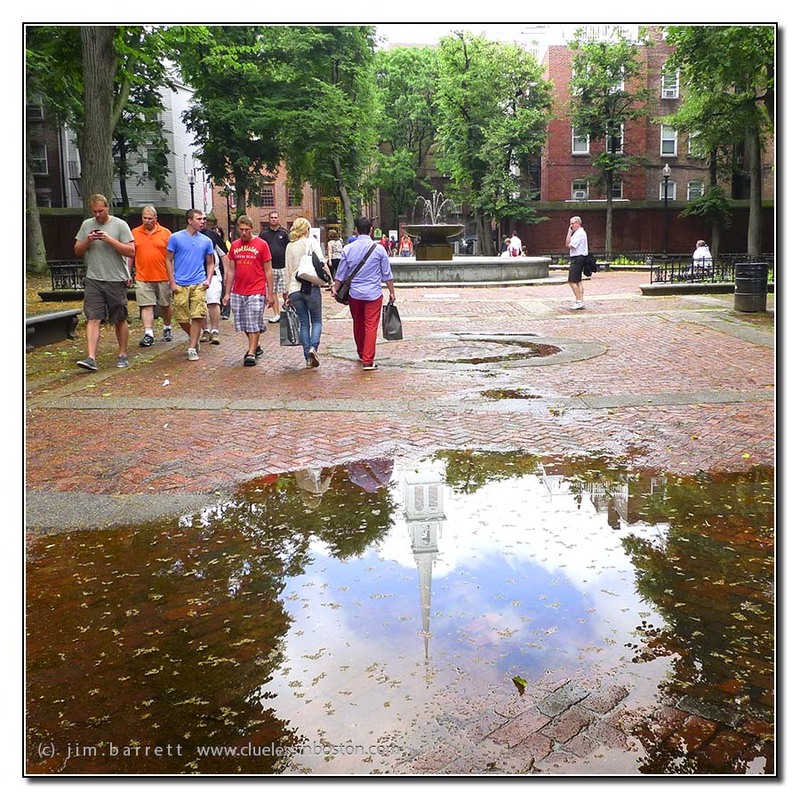 Reflection of the Old North Church steeple. This is like the photographer's version of when life gives you lemons, make lemonade. When it has been rainy, take reflection shots in the puddles. Well done. Clueless. There has been enough rain lately to facilitate shots like this, but I just have not been in the right place at the right time. You sure were.